It is almost impossible to overstate the importance of Watchmen, both in terms of creativity and commercial standing. The book won multiple awards both within and outside the comic industry, including a Hugo Award in 1988 in the “Other Forms” category, and is considered by several critics and reviewers to be one of the most significant works of 20th-century literature. Released as a twelve issue maxi-series, Watchmen’s plot takes the reader to the darkest corners of the comics world. The story starts in an alternative reality in the early 1940s where superheroes started to appear and becoming publicly known, changing the course of human history drastically. In this parallel universe it is now the middle of the 1980s and United States and Soviet Union are approaching the third world war. Freelance vigilantes have been outlawed and most of the superheroes are in retirement, some work for the government and some have gone insane. The plot focus on the personal development, progress and moral battles of a group of superheroes who are pulled out of retirement to investigate the assassination of a government-sponsored vigilante. 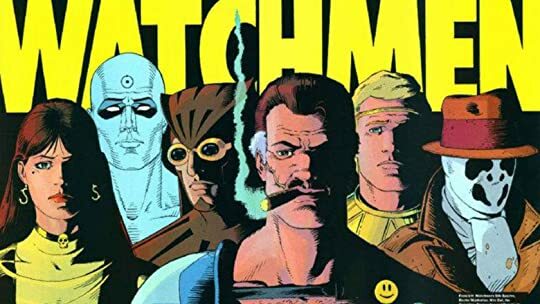 The plot of Watchmen is by no means different form any other graphic novel or superhero story produced in the last twenty years: super teams who fight against powerful villains are one of the essential narratives of superhero stories. However, to give credibility to the comic industry, Moore worked on the development of the characters and their individuality: while the costumes and gadgetry were not bringing anything new to the table, Watchmen superheroes are portrayed in a different light, they are anti-heroes, they are average bored people who take on the role of gods and start to play with fire. In an era where the tales told in comics were straight-forward, on an axis of good or evil, Moore used Watchmen as a mean to reflect personal anxieties and to deconstruct and parody the superhero concept in a real world. Almost thirty years after the first print run, Watchmen is still a commercial and critical success. It opened possibilities for comic publishers and writers to work on more sophisticated and meaningful stories directed towards a more mature audience. Next Post What if Indie Magazines Represented the Future of Education?